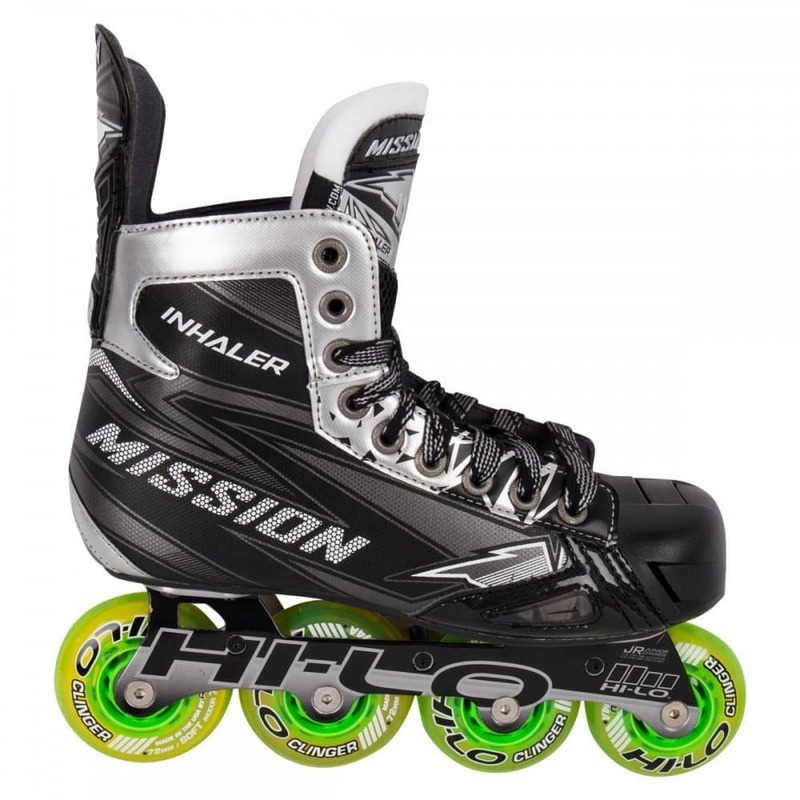 What really makes the Inhaler series stand out is going to be features that help justify its name, its breathability and airflow. 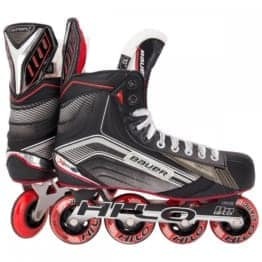 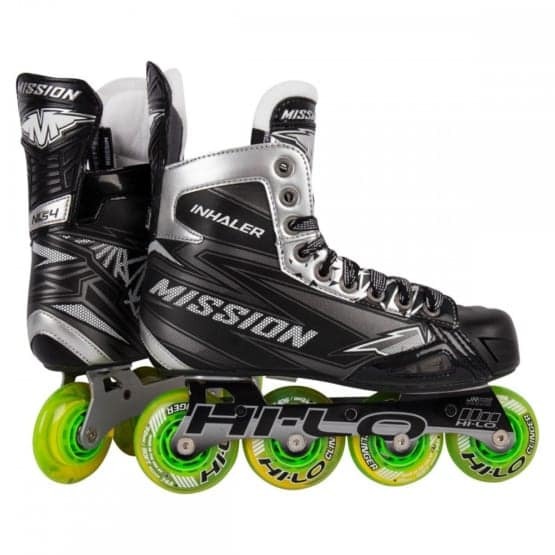 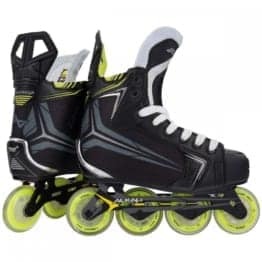 Playing roller hockey indoors or outdoors is hot and the Inhaler NLS: 4 features vents in the toe box, with vents on the sides and top for maximum airflow while skating. 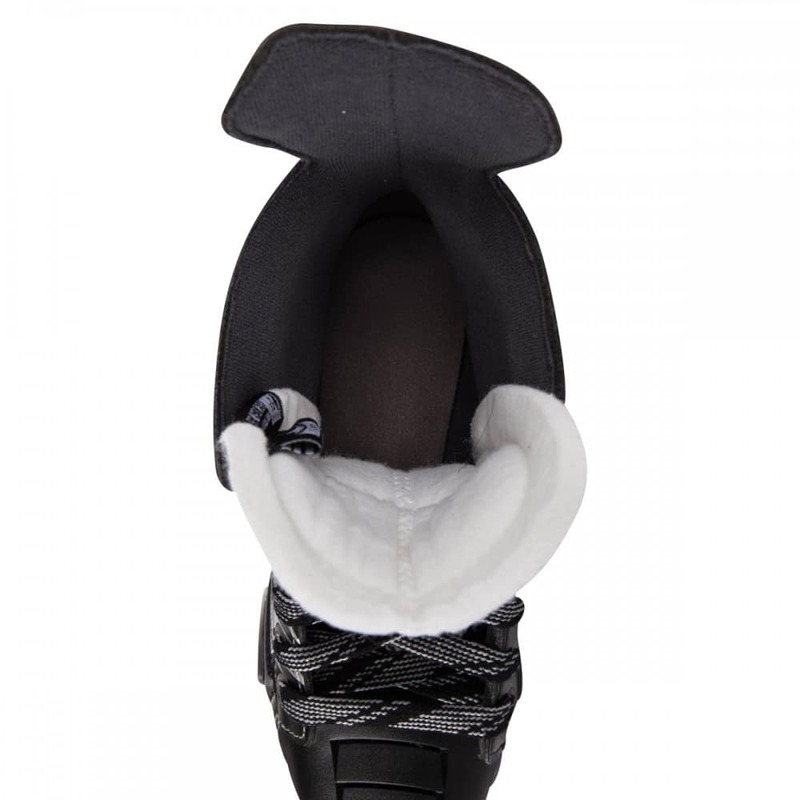 Even the tongue is covered with vented mesh to promote breathability to let heat and sweat escape from the skate! 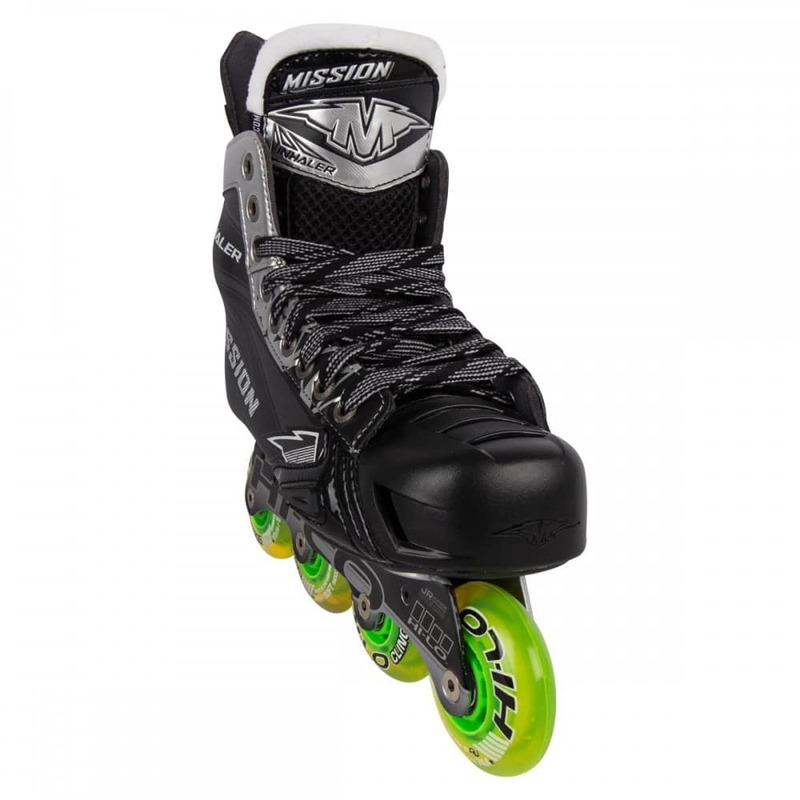 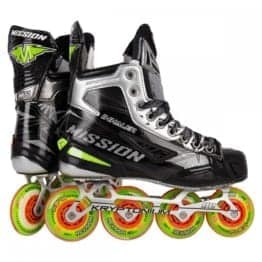 It’s with these innovations the NSL: 4 is uniquely a roller hockey specific skate. 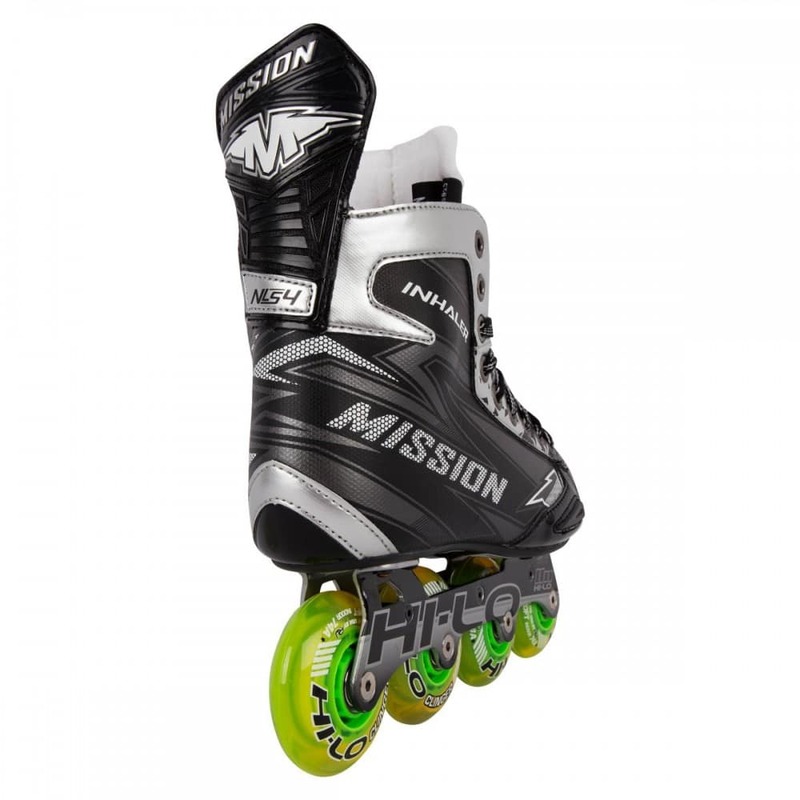 The boot sits atop a lightweight, injected TPR outsole with the HI-LO Aluminum Chassis mounted to it. 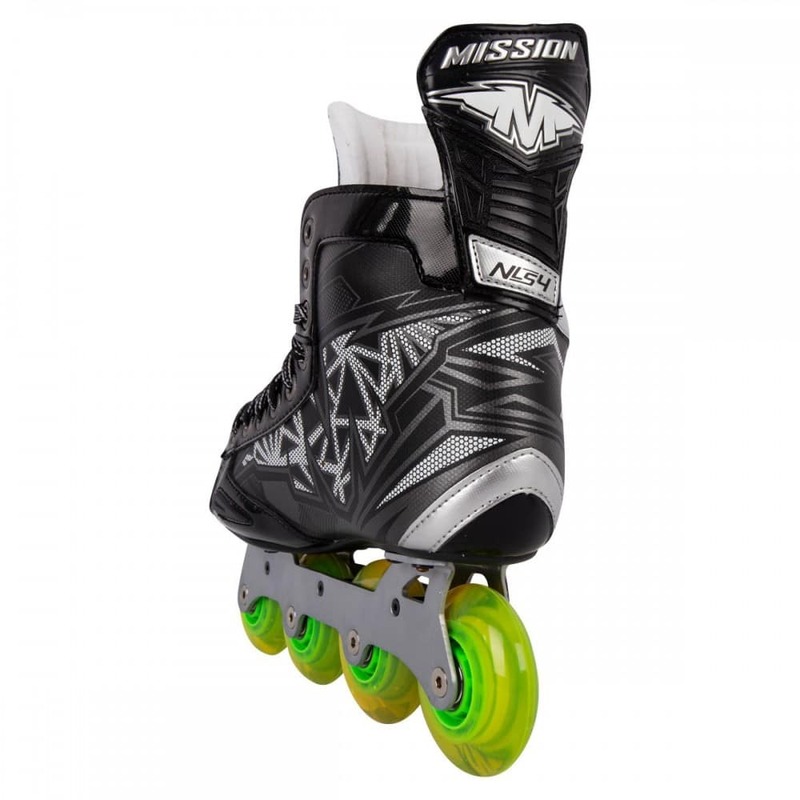 This chassis is engineered for balance and agility using two 68mm wheels in the front and two 72mm wheels in the back. 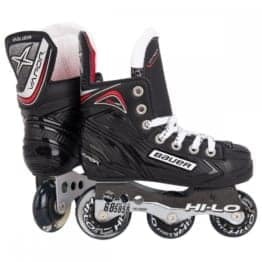 The idea behind HI-LO is that big wheels go in the back for more speed, while the smaller wheels in the front are for more control. 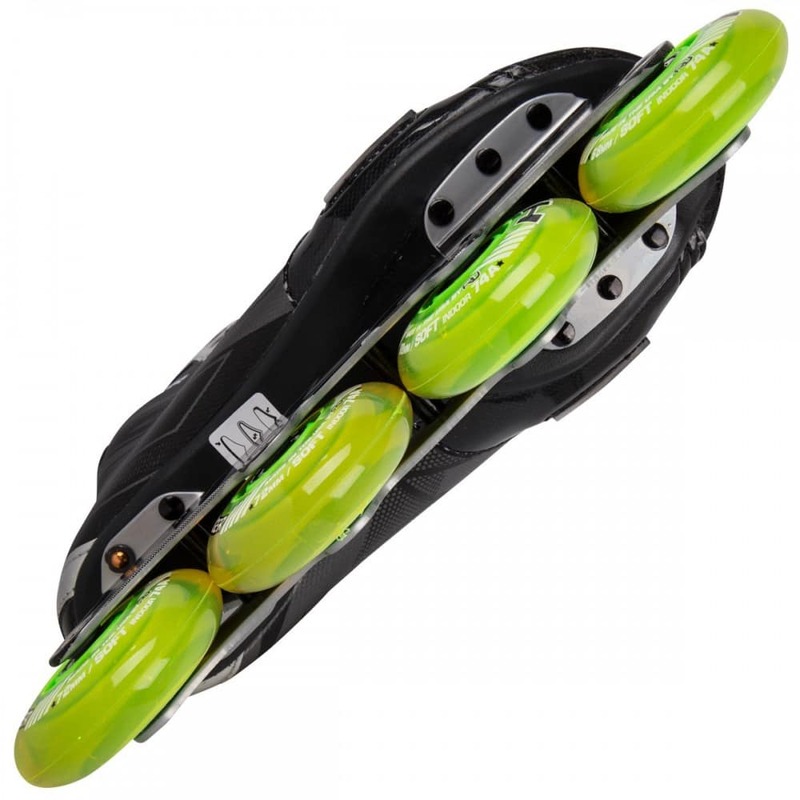 The wheels the NLS: 4 features are HI-LO Clingers, a great wheel for indoor hockey. 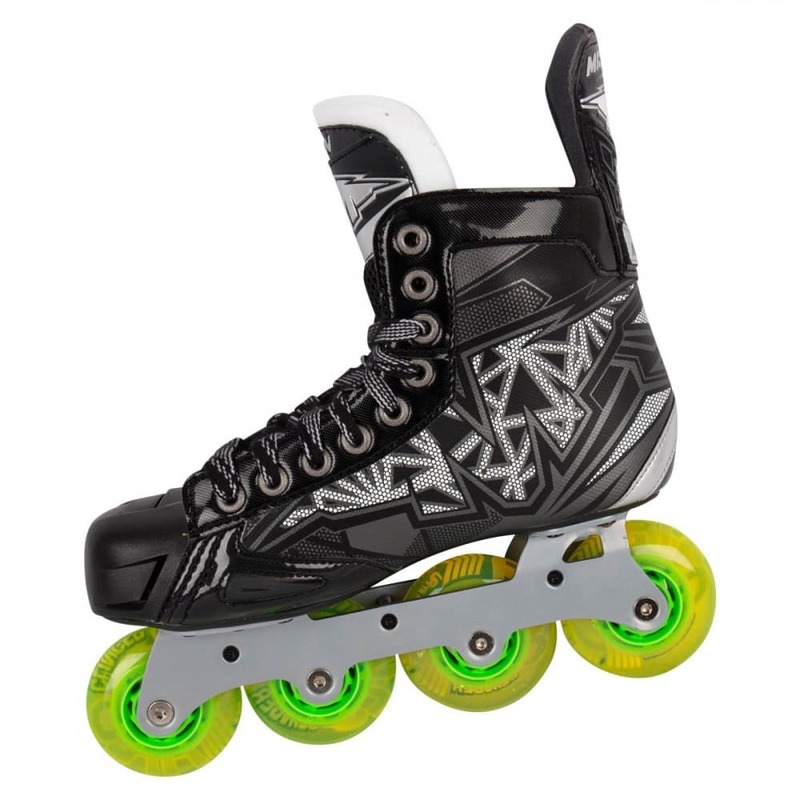 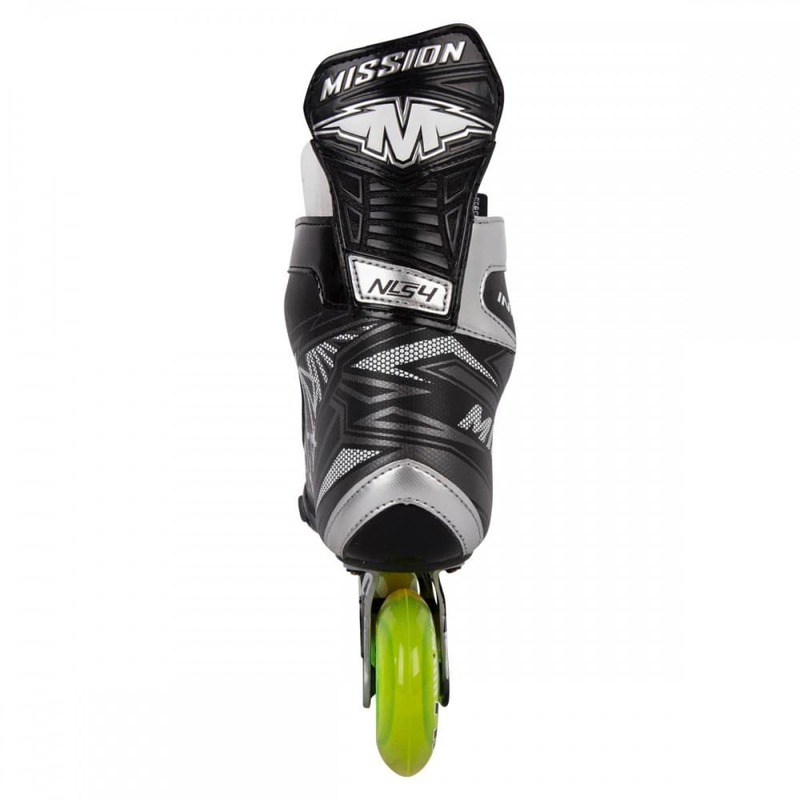 These come complete with ABEC 7 bearings in the standard 608 size.